The next generation of the employees is here, are you ready for it? Generation Z is loosely defined as those born after 1998 and up until about 2010 - though some say those born as early as 1995 qualify for the Gen Z title. The older end of the spectrum already has or is about to graduate high school. Some may work while going to college, while others are heading straight into the workforce looking for full time employment. Generation Zers do share some similarities with their millennial counterparts, but they are very different types of employees. Generation Z are seen more as quiet changemakers, not causing disruption as Millennials are said to do, but rather leaving a lasting impression with different expectations, preferences, and perspectives that will challenge existing organizations. Generation Z commands attention through its sheer size. According to a report compiled by Susan Weber-Stoger, a demographer at Queens College, using 2010 census data, the approximately 60 million native-born American members of Generation Z outnumber their millennial counterparts by nearly one million. While millennials are known as a digital generation, their tween and teen years spent browsing the web and playing music on iPods, Generation Z are digital natives. The first generation to be raised in the era of smartphones and social media; most don’t even remember a world without them. Generation Z are multitaskers who can almost simultaneously create and edit a document, post a photo on Instagram, send an email, and have a conversation all from their smartphone. This type of behavior often challenges workplace norms where being on your phone at work is frowned upon. However, Generation Z seems to have a keen ability to get the most out of technology, often bringing fresh ideas and new techniques that would be overlooked by older generations. They are highly competitive. 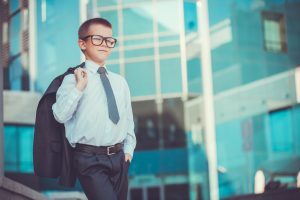 Not unlike their Generation X parents who entered a tough economy out of college and were forced to compete for success, Gen Z is a very competitive one - though by choice. They differ from the collaborative work style of millennials, with their tendency to prefer to work independently. Generation Z are likely to be motivated by workplace competitions, using any and all resources to come out on top. They need feedback. Though they tend to prefer working independently, they still need frequent feedback. However, Gen Z doesn’t have the attention span for a lengthy annual review or weekly one-on-one meetings. A quick one sentence check-in is enough for a Gen Z worker. One size fits all does not fit Generation Z. Since birth, Gen Zers have been able to personalize everything from backpacks and shoes to cars they drive. Not surprisingly, they like to customize their jobs too. The more flexibility and customization a company can offer, the more attractive they are to Generation Z workers. They are both employees and entrepreneurs. The “side hustle” is attractive to a Gen Zer’s desire for disposable income. Employers need to take caution; some side hustles don’t take much effort, while others may interfere or even compete with their work. On a positive note, you can harness this entrepreneurial spirit by offering financial rewards such as bonuses, to employees who come up with fresh new ideas for your business. They’re always looking ahead. With a wealth of information in their hands at any given moment, Generation Z is constantly checking out what everyone else is doing. That “fear of missing out,” or “FOMO” applies to both their personal life and work life. Gen Z are less likely to focus on a career path and more likely to try out all different types of jobs. This doesn’t make them bad employees, but it does make them a better fit for small-business jobs where the employees do a little bit of everything. It’s important that employers know how to manage this new generation of workers. Generation Z are eager to learn, eager to try, and eager to do whatever they can. A new breed of self-starters, self-learners, and self-motivators is ready to make their mark on a world that may or may not be quite ready for them.